With just under a week of 2014 left, 195 people have died. WITH JUST UNDER a week left in 2014, 10 more people have died on Irish roads than in 2013. This year to date there have been 195 road fatalities, with AA Roadwatch reporting on a total of 1,570 crashes. It’s the second successive year that there’s been an increase in road deaths. “The worst part of our job in Roadwatch is reporting on traffic collisions,” AA Roadwatch editor Arwen Foley said as the service published its figures for the year. It never gets easier hearing about a car on its roof or taking a call from the gardai who are dealing with another fatal crash, this time of year especially. All we can do is warn motorists to take care and hope they listen. AA Roadwatch says that, of the 1,570 crashes it reported on from January to the start of December, 577 were in Dublin and 228 were in Cork. The third worst county for traffic collisions was Kildare with 117 while roads in Leitrim has the fewest crashes with only five crashes reported to AA Roadwatch. Dublin was also the busies for flooding reports with AA Roadwatch warning motorists about 77 flooded roads in Dublin and 51 in Cork. AA Roadwatch says that loose pigs, dogs, horses and swans have all affected traffic at some point this year. 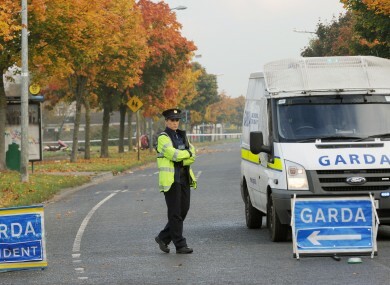 In November, an overturned truck left pigs “all over the road” near the Barack Obama Plaza while also that month in Galway motorists were warned to take care on when a truck shed its load of fish parts all over the road. In terms of live animals, horses are the most likely to cause traffic problems with 41 reported cases in 2014 while even dogs caused disruption 18 reported times this year. Email “Roads deaths for 2014 have surpassed last year ”. Feedback on “Roads deaths for 2014 have surpassed last year ”.